Detroit Fiber Cement Siding | Detroit Cement Siding | Detroit Cement Board Siding | Detroit Cement Lap Siding | Detroit Cement Panel SidingMcGlinch & Sons CO. Since 1917 McGlinch & Sons has been the leader in providing quality remodeling for homes and businesses in and around the Detroit area. We have teams of certified cement siding remodelers familiar with James Hardie premier cement panel siding and cement board siding products. They will assist you in finding the versatile pattern and modern siding colors that will accentuate your unique style. Long lasting durability and resistance to what Mother Nature can throw at it, your cement siding will bring a lifetime of beauty and added value. If you are in the Detroit area, contact McGlinch & Sons today for your free cement lap siding quote! Detroit is Michigan’s most populated city with 673,104 residents and is the largest city on the U.S. – Canada border. Detroit and Windsor Canada are connected by a tunnel and the Ambassador Bridge making it the busiest international crossing in North America. Detroit is best known as the center of the U.S. automobile industry, and the home to the “Big Three” auto manufacturers General Motors, Ford, and Chrysler which are all headquartered in Metro Detroit. Near Detroit, the premier remodelers of McGlinch & Sons are proud to offer the best selection of fiber cement siding in various colors and a variety of patterns to match any style or décor of your Detroit home. When you’re looking for the best value and durability for your next cement siding project, McGlinch & Sons is the one to call. Our customer service is exceptional, and our artistry is first class. 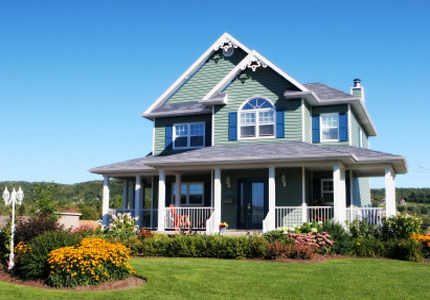 We offer only premier James Hardie fiber cement siding products for all our customer’s cement siding needs. For the best protection from insects, woodpeckers, and moisture damage that your money can buy are found in cement board siding. Customized options include plank, cedar mill and smooth finish cement lap siding. Call us today at (248) 987-6300 for your free estimate or to find out more about cement panel siding from McGlinch & Sons.